My name is Michelle and my husband and I live in North Carolina. I am the mother of 3 sons and enjoyed a career as a CPA before becoming a stay-at-home mom and community volunteer. I was a “swim mom”, a “band mom”, a “lacrosse mom”, a PTSA officer and had many other roles as my boys participated in different activities. 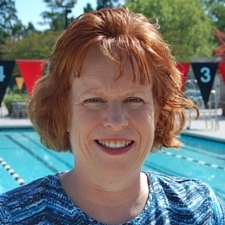 My tenure as “swim mom” was the longest and most involved as I served for years on the board of both summer league and year-round swim teams. When my youngest son decided he wanted to swim in college, I started researching the process. I am good at researching and finding information so I could not imagine this would be any more difficult than any other project I embarked upon. Boy, was I wrong! It turned out to be quite frustrating as there is not a lot of info out there for Do-It-Yourselfers. There are recruiters available who will charge a large sum of money to help you through the process, but we were not in a position to choose this route and, frankly, I didn’t think we should have to. Some parents believe that club coaches will guide swimmers through the entire process. Our experience has been that most club coaches are happy to give guidance when asked and will call college coaches if you specifically request it. However, they are not going to do the research for you (nor should they)! Some club coaches say that college coaches will contact the swimmer so there is no need to take initiative in the process. This MIGHT work for Olympic caliber athletes, but not for the majority of swimmers. By my son’s junior year, I had spreadsheet upon spreadsheet tracking times that score in various conferences as well as academic criteria for admissions and just about any other category you can imagine. By this point, many of my friends and fellow swim parents were asking me for advice. Where did I begin? Where did I find the relevant information? How did I know which colleges he should contact? The questions went on and on. My son had some good experiences and some painful experiences corresponding with college coaches, scheduling and going on official visits and so on. As his peers had the same experiences, I realized I wanted to share our experience with others to help make the process easier. Thus, the College Swimming Guide was born…. I believe parents should be able to navigate the recruiting process, but a little guidance would have been helpful – you will find that help here. Good luck!